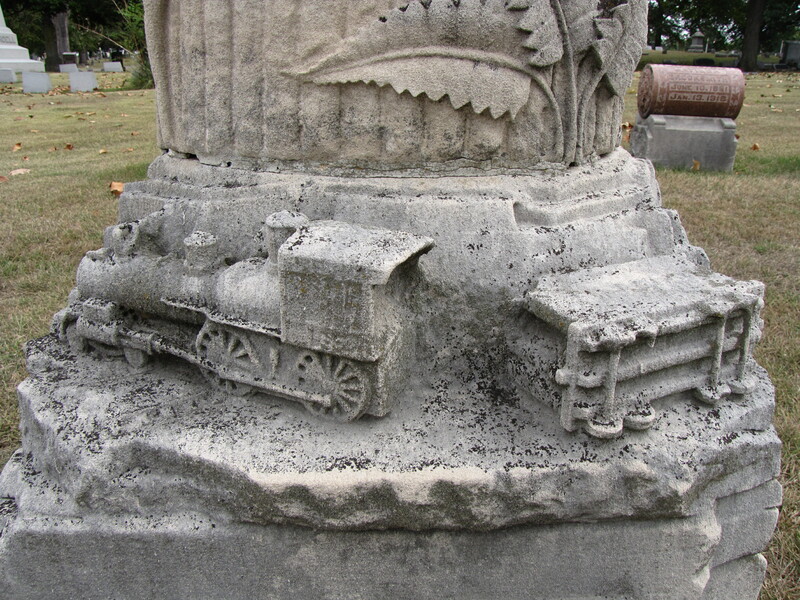 Why Carve the Train into the Gravestone? ON ST. L. A. & T. Ry. Tree-stump gravestones dot cemeteries all across the Midwest and especially Indiana where the tradition of stone carving was fine art in a state where limestone is plentiful and rich and the stone carvers were and are expert and talented. In funerary art, tombstones took on the look of tree stumps during the rustic movement. 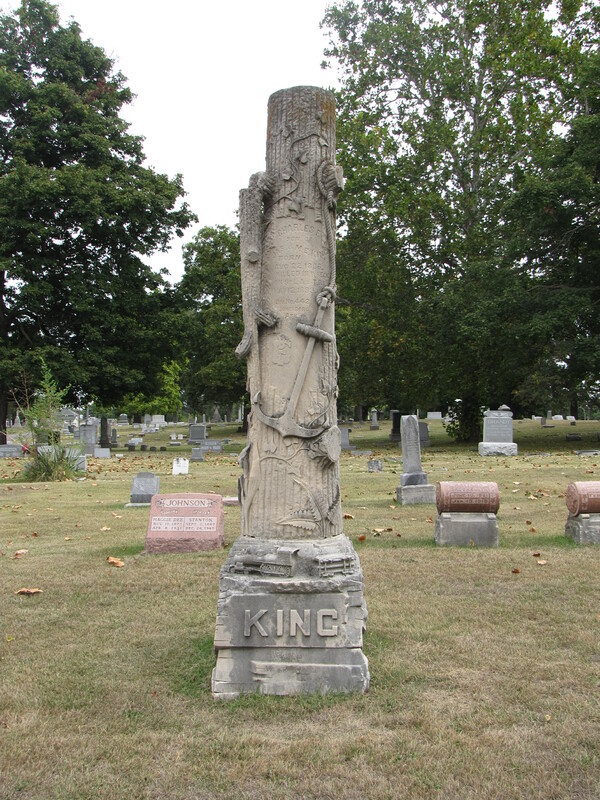 These type of gravestones were most popular for a twenty-year period from 1885 to 1905. Thousands of tree-stump tombstones exist in nearly as many designs. The creativity of the carvers was boundless. The gravestones were purposefully designed to look like trees that had been cut and left in the cemetery to mark a grave. Many symbols, like the hanging and broken bud, the broken column, and the broken wheel represent the end of life’s journey. In this case, even the gravestone itself, the tree-stump, symbolizes a life cut short. 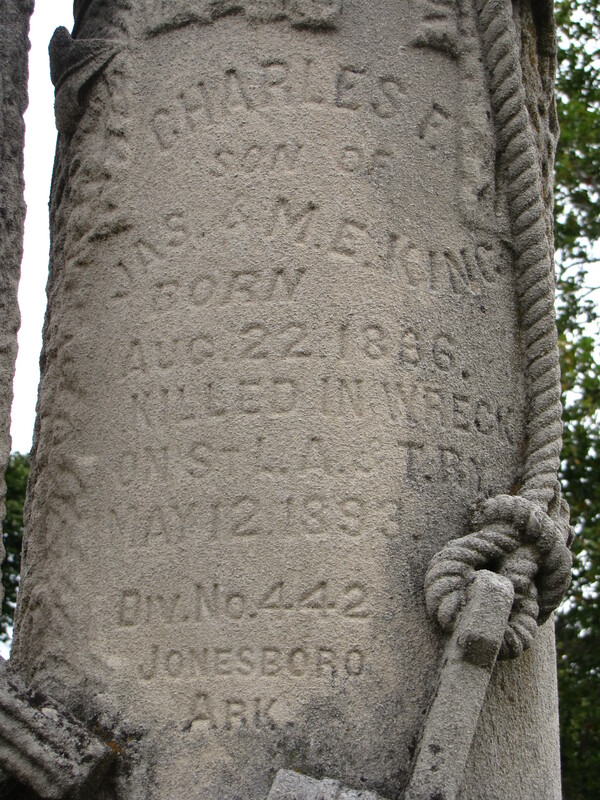 The marker for Charles F. King is no exception, he was but a mere 26 years old—a life cut short. 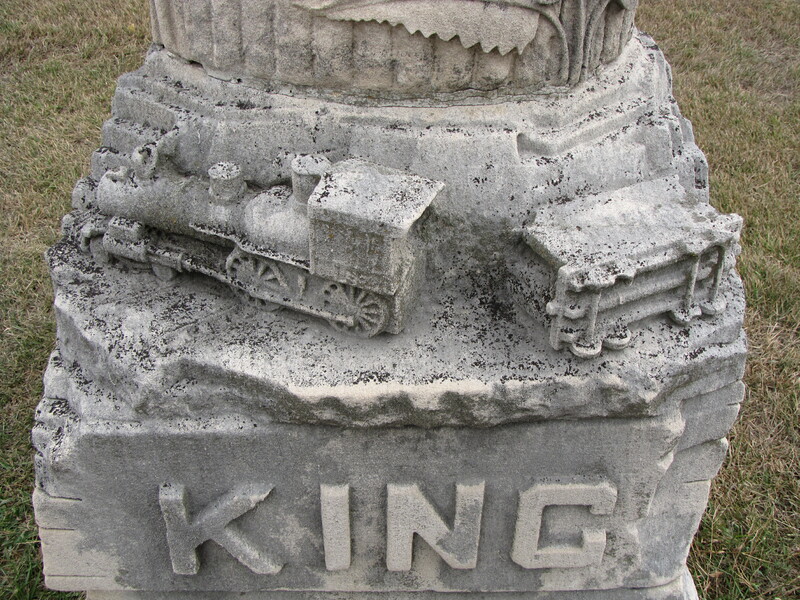 But what is astonishing, is that King’s cause of death, a train wreck, is carved into the front of his gravestone. He was killed in 1893 at Jonesboro, Arkansas, in a train wreck on the St. Louis, Arkansas, and Texas Railway. But a question remains—why carve his cause of death into the gravestone? Would we carve an exploding heart for all those who die from a heart attack? Would we carve a ’48 Studebaker for someone killed in a car accident?